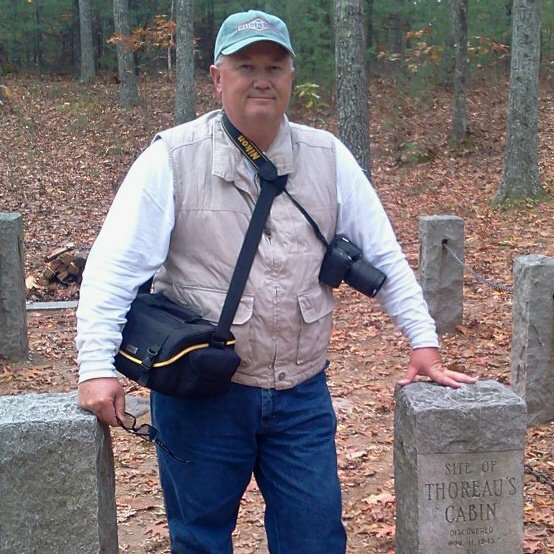 Last week, in my column in the Lawrence County Press, I revealed a secret about men. This was the 2nd secret about men I have published to the world. Here’s a look back at the first one I gave up three and a half years ago. I’m gonna tell a secret that I shouldn’t tell. It’s a secret about men that women don’t need to know, but I guess I’ll tell it anyway. It doesn’t apply to all men, but I’m sure it applies to many; at least quite a few; well, I do know for sure at least one it applies to. 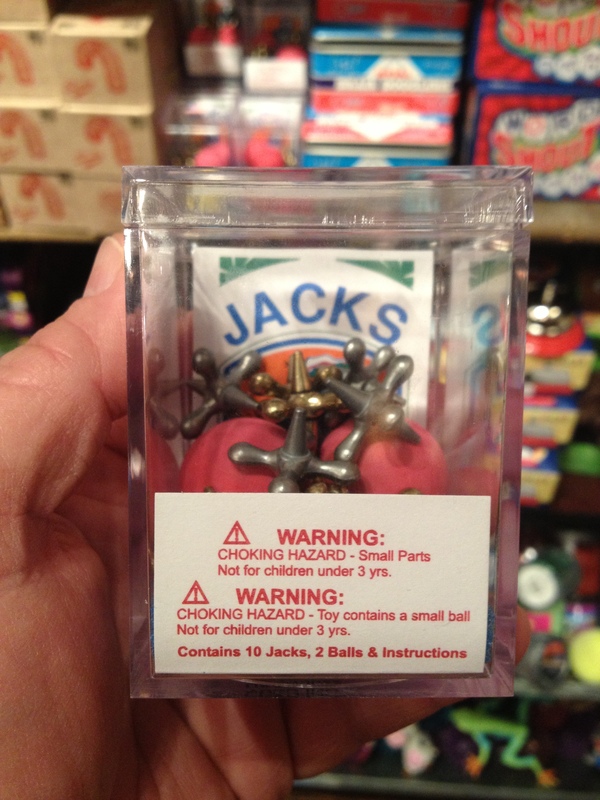 With reluctance, here is the secret: ladies, if you are ever in a Cracker Barrel store/restaurant and you see your husband or manfriend ease his way to the right rear corner of the store, he’s gone back there to check out the toys. A few months ago I somehow found myself in that area of the store in the Brookhaven, Mississippi Cracker Barrel. Since I was already there, I thought I might as well check out the toys myself. While I was there, there was another kid, I mean, there was a kid there. He was maybe ten or eleven, and he was dressed immaculately in a grey suit and white shirt with a straight and narrow black tie and black shoes. If you remember the TV show “Dragnet,” he looked like a blend of Joe Friday and Pee Wee Herman. He was checking out the toys too, and I nodded my head, smiled, and probably gave him a “hey man,” and went on checking out the toys. 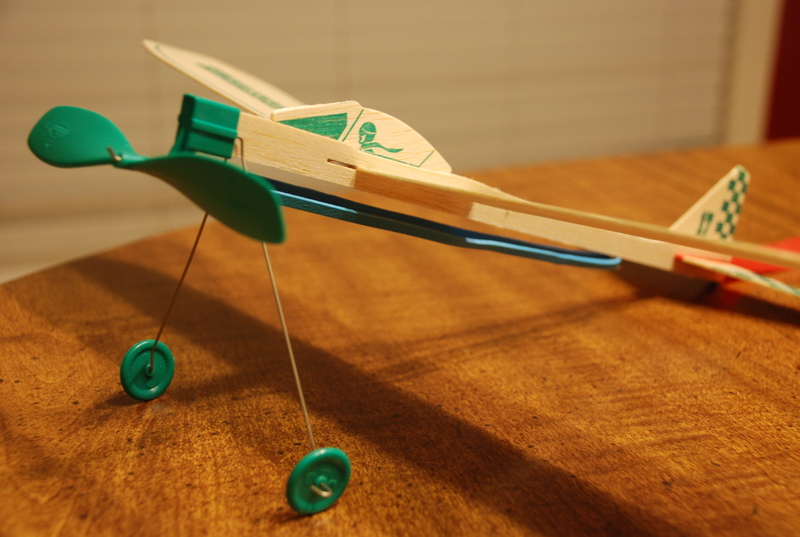 Did you fly a rubber-band-powered balsa wood airplane? Like most kids would, he must’ve felt a little self-conscious wearing that suit while everybody else in the store was dressed casually, and after a minute or two, out of the blue, as if he needed to explain himself, he said to me “I’m dressed like this because I’ve been to a funeral.” I told him I was sorry, and asked if it was someone he was close to. “Well, pretty close, but not really. He was my daddy’s great uncle.” I told him again that I was sorry. “Yeah, I could write anything.” And then I wrote out “U. S. A.” and showed him. He nodded his head and said, “Martin,” and I wrote his name out on the Etch-A Sketch and put it back on the rack. About that time my adult, school-man mentality kicked in, and I thought to myself, “This kid’s parents should have checked on him by now. He’s been left with this strange adult (me) too long.” I turned away from the toy display, and just three or four feet behind Martin and me was a thirty-something woman who looked a lot like Martin, and she was trying to hold back a silent laugh. I think she’d been listening for a while. I was satisfied that Martin was well looked after, and I needed to slip out of the right rear corner before my wife caught me checking out the toys. Great story Tony, but women, ok some women, ok maybe 1 woman I know can also be found in the right rear corner of the Cracker Barrel Store checking out the toys. Pick up stix is my favorite, and jacks, oh and . . . . Loved it Tony, we had 2 story house in Mobile so we had fun with the slinkys,get at the top and let her go, I was really good with the jacks and the paddle ball , kids don’t care for those things anymore, love being your cousin!!!!!! Isn’t it fun to go in the Cracker Barrel store?????? I, too, love the “old” toys. I’m trying to introduce them to my grand. Some of those toys were really fun. Thank, TD for the memories. Next Next post: Witch Hazel or Bay Rum?